Made to supress vibrations with low dielectric absorption, RFI noise reduction, 'Proximity Effect' Magnetic Field distortion, silver plated copper conductors and high quality connectors. 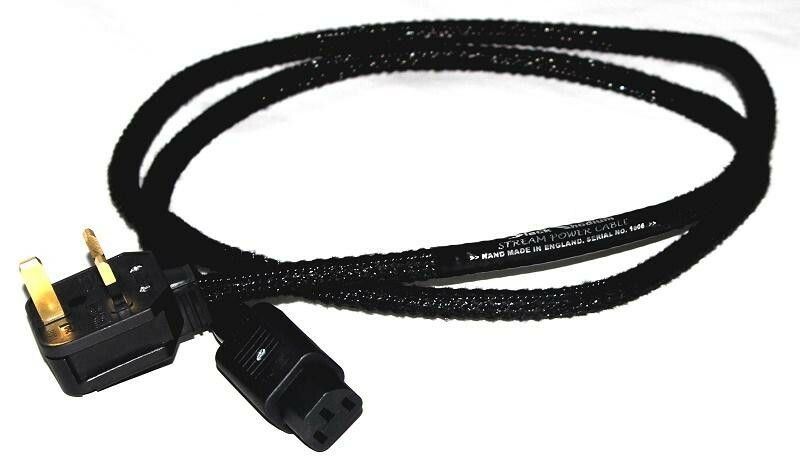 Black Rhodium Stream Power Mains Cable shows once again that Black Rhodium does not just simply transport current from the source to the equipment. They add outstanding improvements to your listening and viewing pleasure through advanced filtering, as well as providing clean, uniform currents which improve the clarity and timing of your audio and visual. 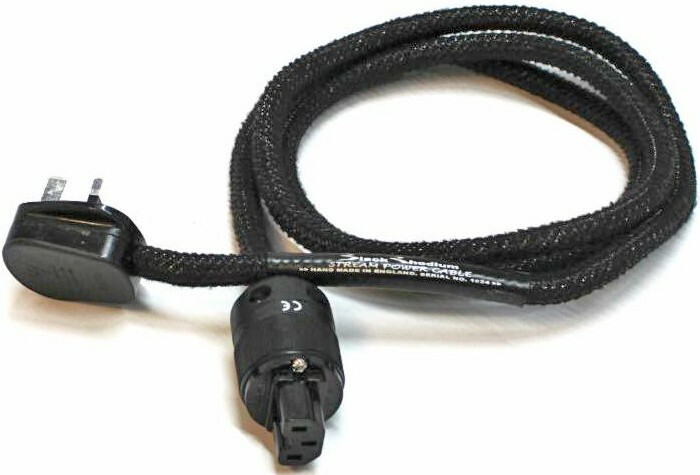 Further temperature improvements are added to these high-end cables, offering improvements to timing and clarity. 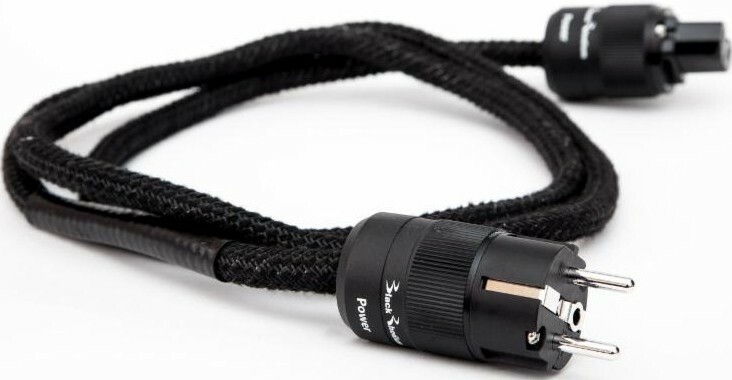 These benefits in synergy make Black Rhodium cables arguably the best choice to get the most out of your cherished equipment. The wires in Stream are insulated in silicone rubber because its low dielectric loss ensures extremely low distortion due to dielectric absorption effects in which sound energy is absorbed in the insulation and released at a later interval of time to create highly audible time-smearing distortion. Stream gives a very clear diction of a singer’s voice and separates musical instruments superbly through a dramatic reduction of ‘Transient Phase Distortion’. It is reduced by using thicker insulation than is usual in speaker cables, increasing the distance between conductors and thereby reducing the magnetic field seen in each conductor wire as a result of the magnetic field created by the current in the other conductor wire. A further increase in the distance between conductors is achieved by use of the attractive cable braid and this further reduces ‘Proximity Effect’ distortion. By very substantially reducing this form of distortion, the music becomes clearer and more dynamic, with greater ambience and experience of the music’s emotional qualities. Construction includes the use of two separate and complementary materials that effectively damp Mechanical Vibrations within the cable. 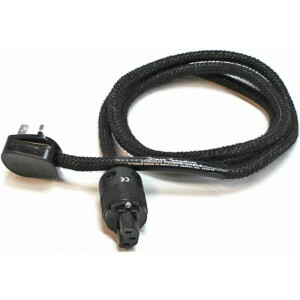 Stream Mains Power cable is protected from the distortion caused by RFI interference by a very tightly braided metal screen. Complementary RFI suppression technology located within the connectors reduces the distortion caused by high frequency noise within the power circuits. The result is less audible distortion allowing cleaner, clearer sounds to be enjoyed from your equipment.